“Amazing Women of History” is not only entertaining, it’s educational. 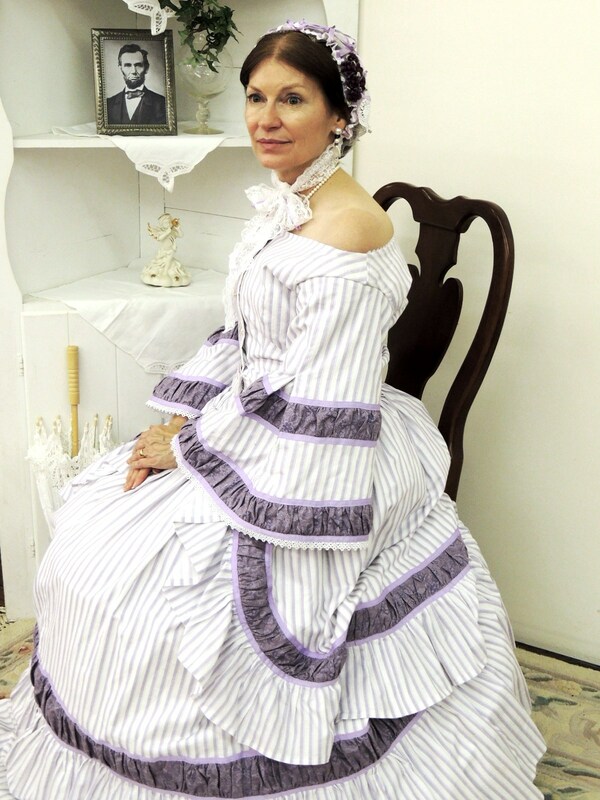 Singer, actor, playwright, and historical portrayer JoAnn Peterson, combines her love of history with acting and teaching experience to bring a truly captivating performance. Her first person portrayals are well researched. Peterson is a presenter with the West Virginia Humanities Council History Alive! program, has performed in professional regional theater, and has written eight murder mystery plays. Jenny Lind, the Swedish Nightingale, illegitimate and born into poverty became a world renowned opera singer and philanthropist who was lauded by kings and queens. Mary Lincoln, one of the most tragic and misrepresented 19th Century figures. Mary Lincoln and her story symbolize the pain and loss of Civil War America and is closely intertwined with that of her husband, Abraham Lincoln. Margaret Tobin Brown, the “Unsinkable Molly Brown”, an extraordinary woman whose compassion and courage captured the world’s attention due to her heroics during the Titanic tragedy. What people know of her is mostly myth and caricature. She was a remarkable woman whose life was greatly embellished posthumously, to create a larger-than-life commercial heroine called “Molly”. Nellie Bly (Elizabeth Jane Cochrane), a groundbreaking, “stunt” journalist, her undercover feats included feigning insanity to be committed to a lunatic asylum. The grand jury investigation that ensued following her report led to many reforms in the treatment of the mentally ill. The movie “10 Days in a Mad House” being released September 2015 is based on her experience. “A Mother’s Heart Divided – A Civil War Story with Song”, is the tale of Maisie Twigg, who lives in the hills of the new state of West Virginia. Being anti-slavery, her husband Johnny joins the Union army, leaving their only son, Willie, to help on the farm. When Confederate soldiers come to the farm, foraging for food, Willie, leaves with them, telling his mother that he is fighting for the real Virginia. Shirley Temple Black (currently researching, character to be ready to premiere in 2016) The talented, dimpled singing and tapping, curly topped little girl won the hearts of America and helped put a smile on faces in the midst of the Great Depression.